From the very inception McLaren Automotive of Great Britain focused on speed and high quality. In the 1960s, McLaren came up with what was the world’s fastest vehicle at the moment. The McLaren logo has gone through a lengthy and vivid evolution. Its present-day version features a red speed-mark, which has been modified several times, and the word-mark, which comes in different colors depending on the background. 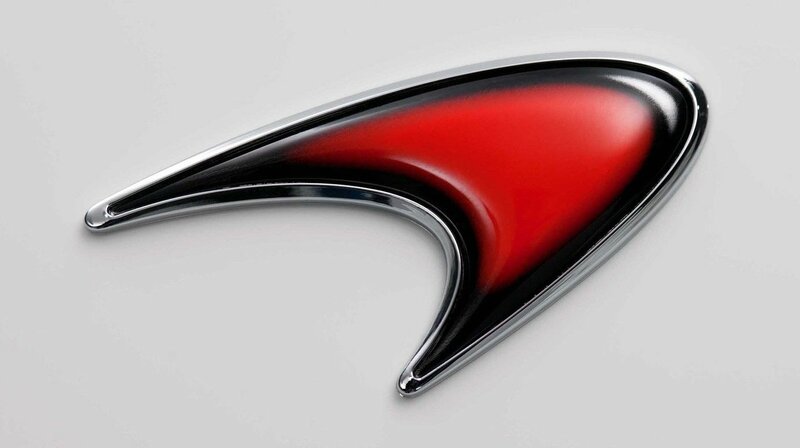 One of the most recognizable car emblems, McLaren logo has had a very successful racing history. The original McLaren emblem was created in 1964 by Michael Turner, a UK illustrator who specializes in motoring and aviation paintings. It featured a Kiwi, which is the symbol of Bruce McLaren’s motherland, New Zealand. Three years later Michael Turner developed a ‘Speedy Kiwi’ version. The shade it used is sometimes called ‘McLaren Orange’. In 1981 Raymond Loewy designed yet another McLaren logo. The international emblem looks like a chequered flag. In the 1991 logo the three chevrons became one. In addition to this, the McLaren manufacturer decided to update the font, making it more refined. In 1997 the symbol was heavily modified. The new version, which was introduced in 1997, comprised a streamlined speedmark. According to the company’s designers, its outline looks very much like the vortices created by the rear wing of McLaren cars. To make the image more energetic, the designers decided to use a white inscription on a black background. In 2003 a revamped logo appeared. The iconic speedmark remained the center of the image.